Patch #352 Minor door and spelling fixes in low-level Scorn. Spelling fixes to plural items for various Scorn maps. Change firewalls in maps to use direction instead of sp. Depends on r20469. Give deposit boxes their own script and update all the banks. Give maps unique names again, update references to Pup Land for consistency. No functional changes. Removed duplicate shop tile in Scorn Weapon Shop. automatic spell book naming, and remove unnecessary message text. Remove 'race' property in Scorn Food Shop. place for players to sell stuff. Cosmetic changes with Scorn Armour Shop (scorn/shops/armourshop) to correct a stacking issue resulting in the floor tile appearing above wall sections by the blacksmith. No functional changes. Remove weather setting (temp 50) from map header of Scorn Private Shop (scorn/shops/privateshop). Technical change, no functional changes. Removed weather setting (temp 50) from map header to the private shop maps. Technical change, no functional changes. Cosmetic and layout changes to Oled's Cafe (scorn/shops/oleds_cafe) in Scorn. Enlarged the map to include area surrounding the cafe, added some windows, changed the location of the door. Updated world map (world/world_104_116) for map entrance coordinate changes. Cosmetic and layout changes to Eswald's Coffee Shop (scorn/shops/coffeeshop) in Scorn. Enlarged the map to include area surrounding the shop, added some windows. Updated world map (world/world_105_116) for map entrance coordinate changes. Moved map idea credit to the map header in Bank of Skud (scorn/shops/bank) in Scorn. Technical change only, no functional changes. Enlarged the lobby area of Food Shop Warehouse (scorn/shops/foodshop) in Scorn to give players more room to move around each other. Updated world map to reflect changes in entrance coordinates. Word spacing correction in message text to Scorn Sale Shop (scorn/shops/scorn.sale1) in Scorn. Remove blank line to map header in Scorn Private Shops. No functional changes. 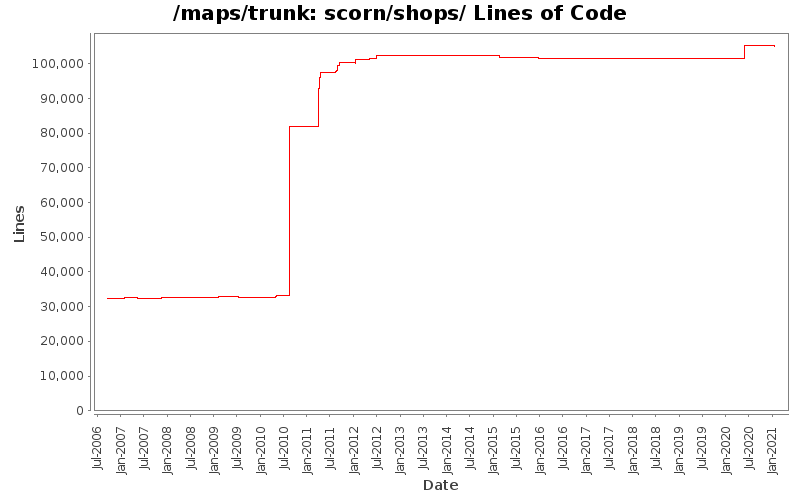 Remove blank line to map header in Scorn Private Shop (scorn/shops/privateshop) in Scorn. No functional changes. Word spacing correction in message text to Scorn Imperial Post Office (scorn/shops/IPO_scorn) in Scorn. Word spacing corrections in message text to Scorn's Acme Inc. Building Shop (scorn/shops/buildshop) in Scorn. Word spacing correction in message text to Scorn's Best Bows (scorn/shops/bowshop) in Scorn. Spelling correction (jewelery -> jewelry) to multiple maps. Instruction clarification for listening books to all build shop maps. Grammar correction (can be build underneath -> can be built underneath) to all the build shop maps. Cosmetic change to Armour Shop (scorn/shops/armourshop) in Scorn. Rearranged stacking order for fence (swall) section for nicer merging with nearby walls. No functional changes.